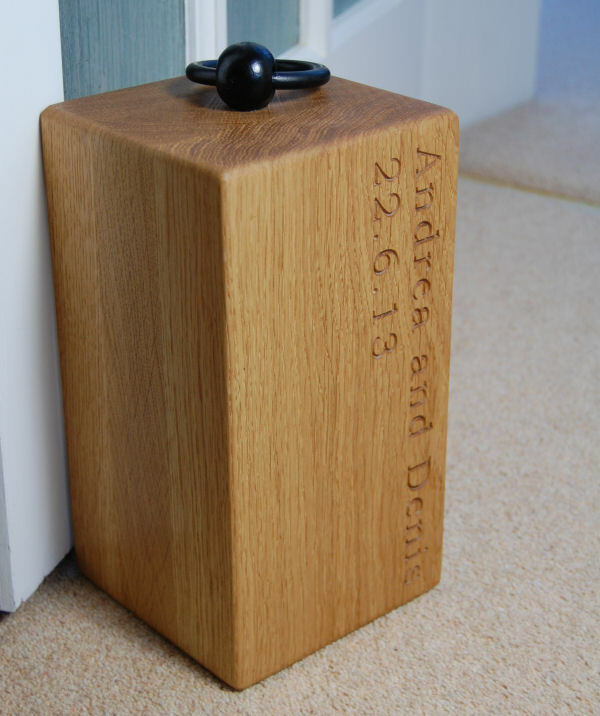 These substantial and tactile door stops make great wedding presents engraved with the couple’s name and the date of the wedding. 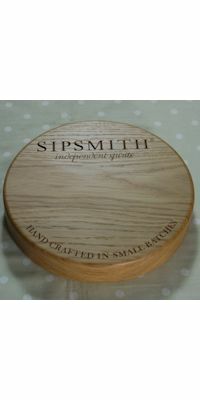 Engraving of up to 2 lines per face is available. 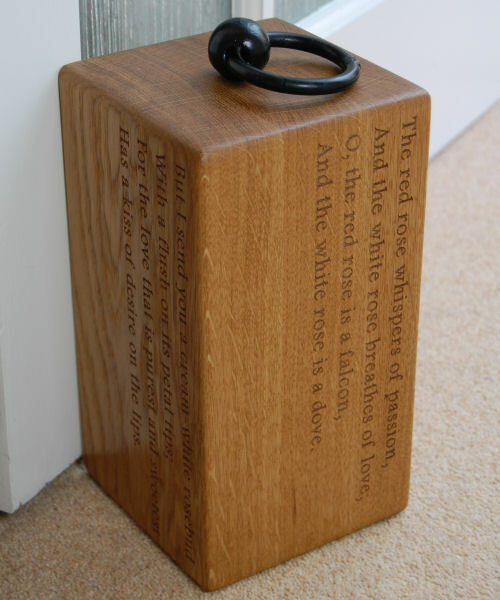 If you need 3 lines of text per face please choose the Navigator Doorstop. 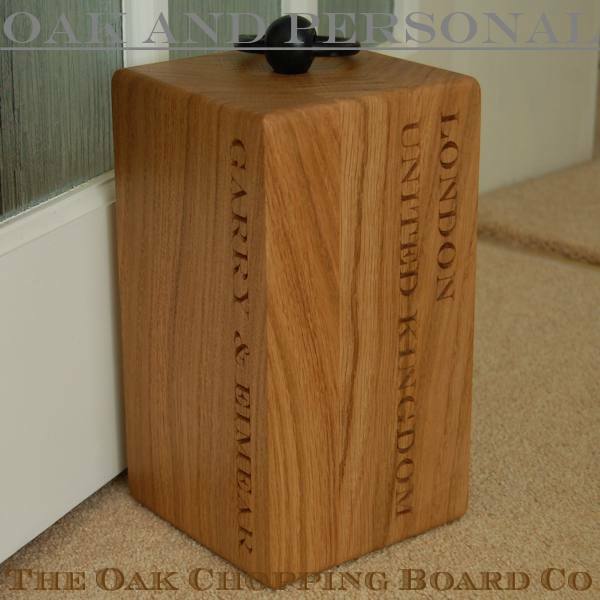 All wooden door stops are made from kiln-dried prime European oak constructed of 3 pieces jointed and glued together. 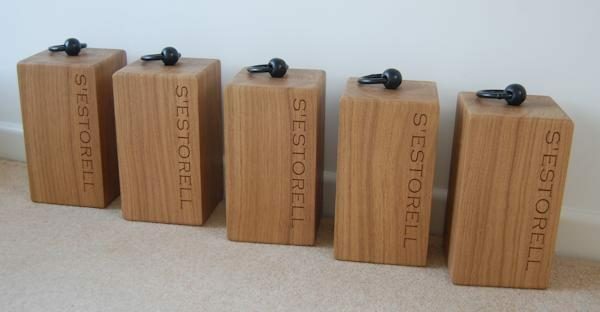 Unlike similar products available that are made from green oak, these doorstops are extremely stable and much less susceptible to cracking or splitting. 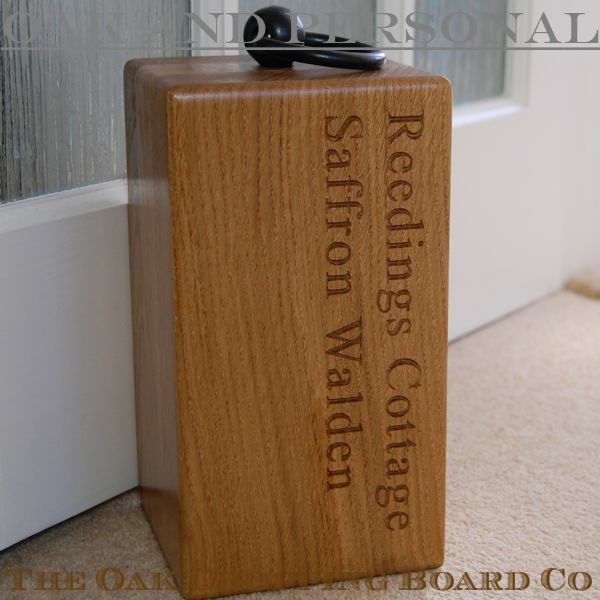 Each chunky doorstop measures 13.5×13.5x25cm, weighs approximately 3.5 kgs and is fitted with a handle hand-forged (in the UK) from wrought iron, which has a black painted coating. 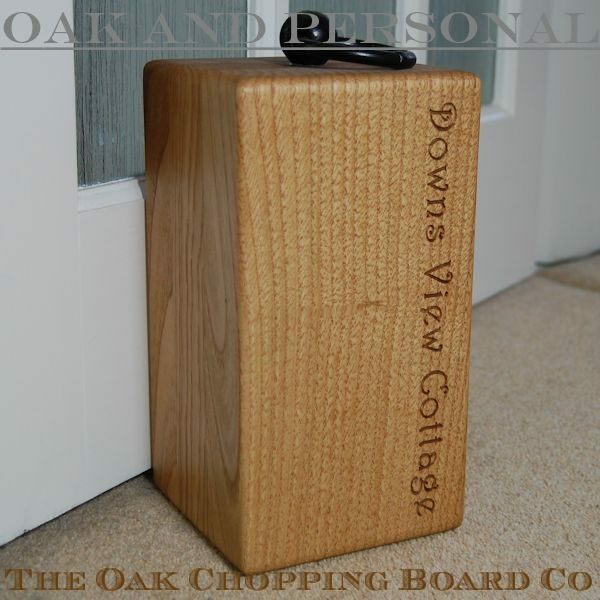 Each door stop is finished with a number of coats of fine mineral oil giving a subtle, lustrous finish. 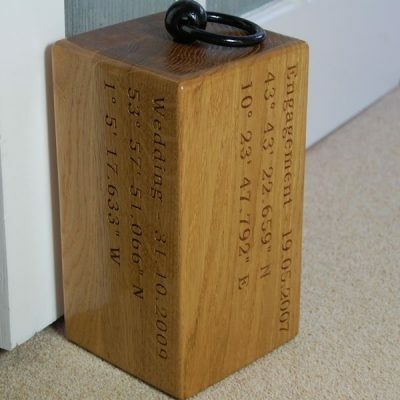 As well as wedding gifts, these door stops make excellent birthday and new home gifts, and can be engraved on up to 4 sides (2 lines of text per face – for 3 lines of text per face please choose the Navigator Doorstop) with dates, names, house names or a phrase or saying. High quality, beautifully tactile item. Excellent service too, well worth it. Beautiful doorstop – bought as a ‘new home’ present for some very good friends. The service was amazing – very personal and quick – with lots of good advice. My friends absolutely ADORE it and I believe it has received many compliments. 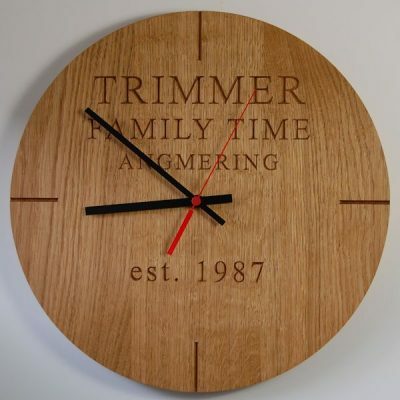 So if you’re looking for a present that’s a little different – this is perfect! 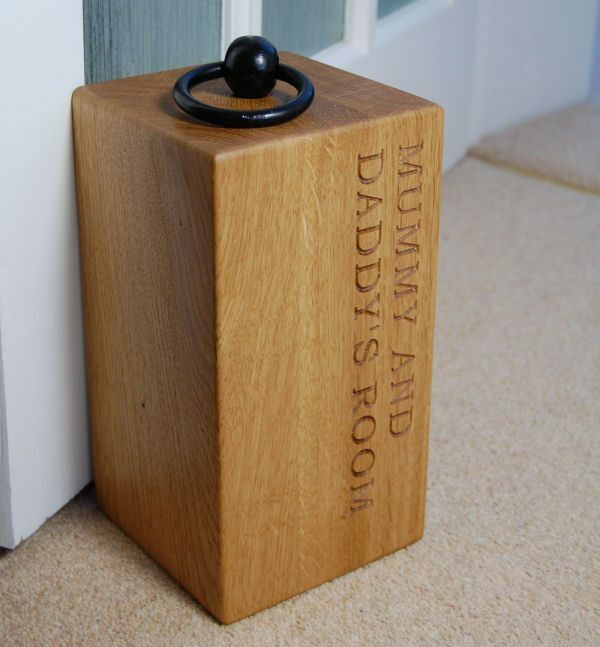 Thank you so much for the doorstop I ordered, I am absolutely so delighted with it, as I am sure my eldest son will be. 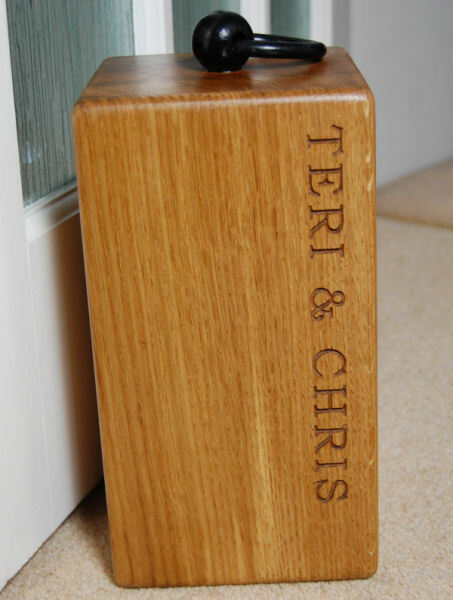 I ordered a door stop engraved with the name of the recipient’s house as a 50th birthday present. I was delighted with the service from start to end. Easy to follow online ordering. The speed of processing the order to delivery. 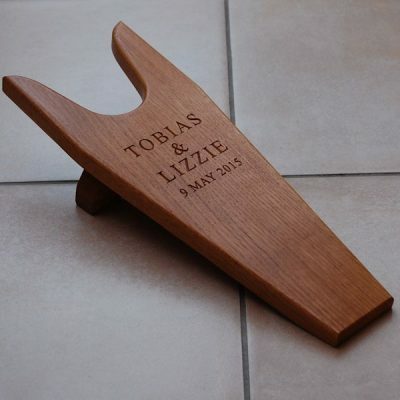 I was kept informed about the delivery date, was able to change the delivery address to a neighbour’s as I was out that day and was absolutely thrilled with the doorstop. 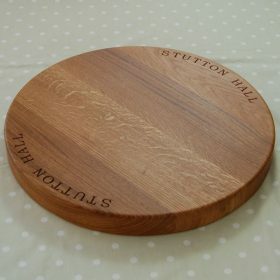 The gift was very well received and has pride of place. Thank you very much and would recommend this product and the company to anyone. Don’t hesitate to order something – you wont be disappointed. I ordered a door stop for a house warming gift. It looks absolutely beautiful, I’m very excited about presenting it as I know they are going to love it. 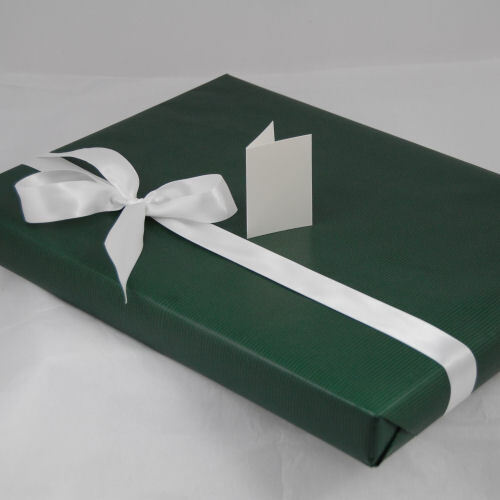 The quality was great – a fantastic gift. 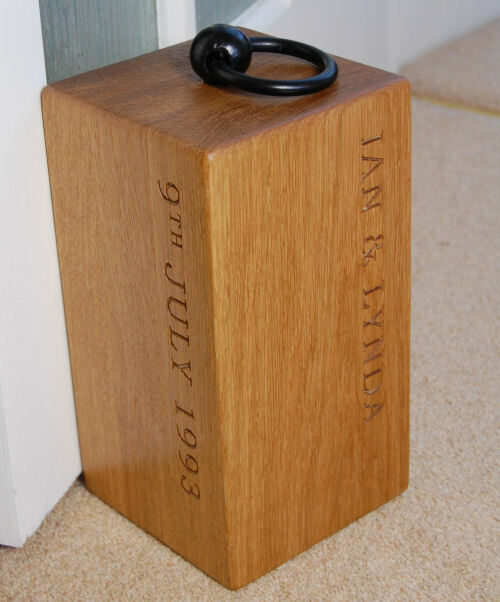 I ordered a doorstop for our 20th Wedding anniversary. Despite having IT issues on the day, my order was taken quickly and efficiently. Once the design was approved we were told when delivery was expected. It duly arrived on said date and well packaged. 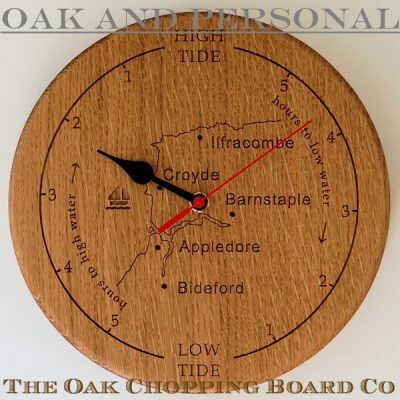 We are delighted with both the quality of the item and the service given by Diana and John. The doorstop has been admired and we would recommend highly to others. Very happy indeed with the Doorstop which is perfect. It was well worth spending time (hours) on the internet to find exactly what I wanted and even more worthwhile to find that it was as expected. Being able to lift the phone and talk to the person who was making my Doorstop was also very reassuring. It was well packaged and arrived as arranged. Thank you. 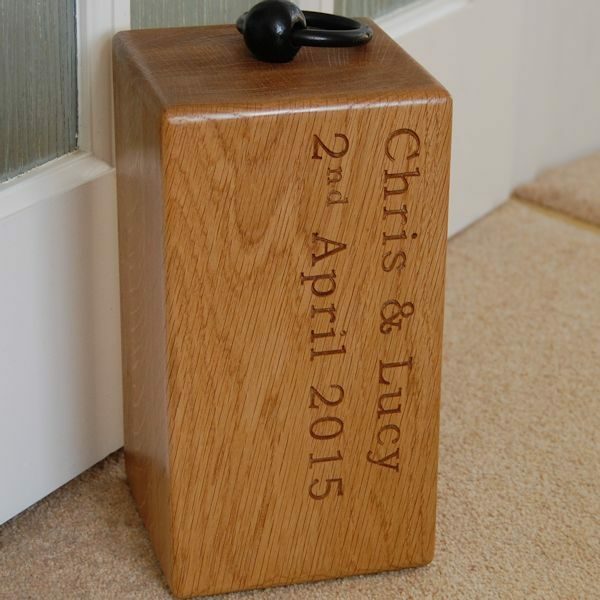 I ordered a doorstop as a wedding gift just 10 days before the wedding. Within hours I received an email showing the engraving as it would appear on the item. Having approved the design I waited for my doorstop to arrive. 6 days later I was advised it had been despatched and the following day it arrived very well packaged. 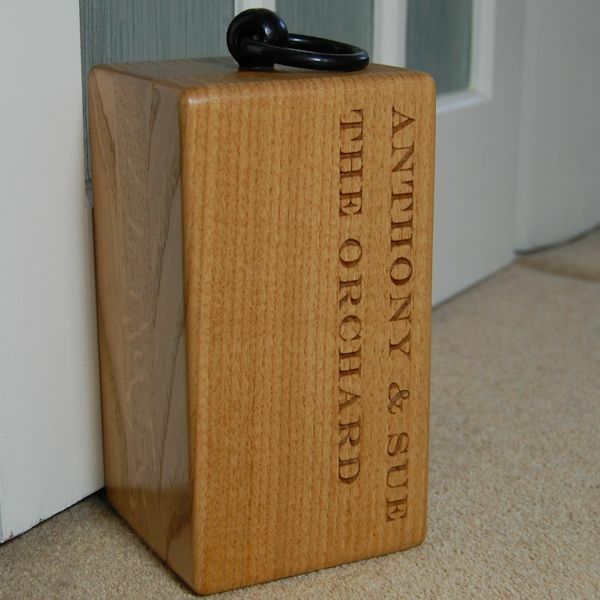 Absolutely wonderful service for a bespoke item and the quality of the doorstop is exceptional. Even better, the couple loved their gift too! High recommended.